In the past few days I had some revealing conversations and reflections on the role of volunteers and interns in creating exhibits and programs at the C.H. Nash Museum at Chucalissa. We recently revised our mission statement to emphasize the participatory nature of our engagement with University of Memphis students and the broader community. So how successfully do we “operationalize” that engagement? Typically, this aspect of mission is framed within the mandates of building community relationships and providing educational opportunities on the one hand and on the other hand getting stuff done that our limited staff are not able to complete. 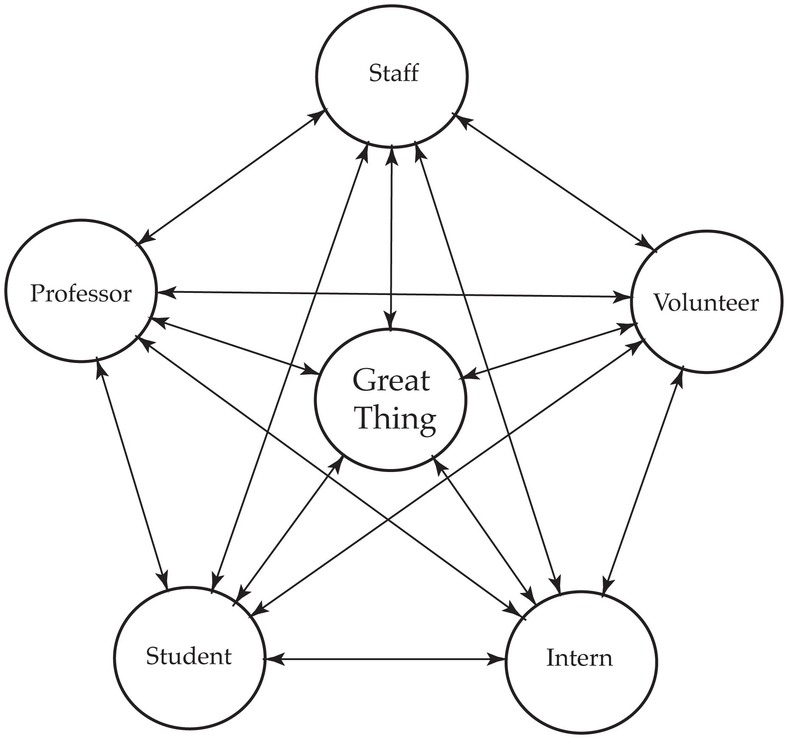 Flowing from those considerations, I want to present a couple of case studies on the reciprocal nature of our interactions with volunteers and interns. First, over the past few months I posted several times on the African American Cultural Heritage in Southwest Memphis project. I won’t rehash all that here, except to note that the co-creation in that project was absolutely necessary. The student participants were all from Southwest Memphis and none of our museum staff are. The student input was required to create the exhibit, pure and simple. But moving to the less obvious, for the past few months on Volunteer Days, Gerry and Adriana VanBeek have worked with artifacts dating to the prehistoric Poverty Point culture (circa 3 – 4000 years ago) recovered in West Tennessee. After spending a couple of Saturdays on the project they took the 5 hour drive down to Epps Louisiana to visit the Poverty Point site itself. I appreciate that the experience in our Museum is able to offer direction for such opportunities. But here is where the co-creation comes in – this past Saturday Gerry showed me photos of Poverty Point culture artifacts from a museum he and Adriana visited in Florence, Alabama. He correctly assumed that if we were interested in Poverty Point culture objects from West Tennessee we would also be interested in those recovered in northern Alabama. He was right. To me, that simple exchange is an example of where the co-creation and reciprocal nature of the participatory museum comes in. The next case is that of Emily Neal and Scott Hadley, two Anthropology undergraduate student interns at the Museum this semester. I try to match our Museum needs with an intern’s interests. In so doing, we designed an internship where Scott and Emily used unprovenienced stone tool artifacts from our collections to create a hands-on educational program for visiting school groups. The project is nearly complete. Scott and Emily did a dry run of the program for volunteers and staff on Saturday and got some great critical feedback. After the presentation Emily, Scott and I sat down and discussed their internship in a sort of exit interview fashion. They expressed appreciation in having a hands-on experience, doing something they had never done before, and getting experience on future career trajectories. But there was another critical take-away point for me on the internship. Scott and Emily both noted that although I provided them with some broad initial guidelines for creating the program, but they also felt somewhat undirected during the first couple of weeks of the internship. I recollect that they asked questions early on, and I would give them direction, but not answers. They noted at first they found the lack of a clear direction a bit frustrating. They contrasted their internship experience with coursework where the instructor provides a syllabus with the exact pages to read, the lecture schedule, when the test will occur and so forth. But after some initial uncertainty in the internship, Emily noted that she found the freedom to choose the project direction actually brought out her natural creativity in such situations. Scott noted that having to choose the direction forced him to think outside the box. I am struck that their internship can be likened to creating a painting on a blank canvas compared to completing a paint by number type of project. They both felt strongly that the end product was their own creation. Scott specifically commented that he was excited to know that the program would live on after he completed the internship. Both students felt they gained valuable real-time experience and made a real contribution to the museum. Here is what impressed me the most about their internship process – Emily and Scott created a quality program that my graduate studies in anthropology could not have produced. From the visuals to the script and activities, the interns brought a fresh approach to exploring prehistoric stone tools outside the box in which archaeologists typically operate. I specifically challenged Scott and Emily to scour the literature but also brainstorm on their own and come up with creative ideas to explain the evolution in tool form through time and space – and they succeeded in doing so. In their early 20s, both Scott and Emily are also much closer in age and experience to the students who will take part in this program than I am. However, my graduate studies in lithic technology and experience in museum programming are not to be completely set aside. That is where the value of co-creation comes in. As Scott noted, the collaboration, including the feedback they received this past Saturday, was key to the success of the project. To me, that is also where the beauty and elegance of Parker Palmer’s above model fits – but more on that later. What are your thoughts on co-creation and museum programs?